Whether you’re mounting a TV in your home or business, our electricians are there to help. 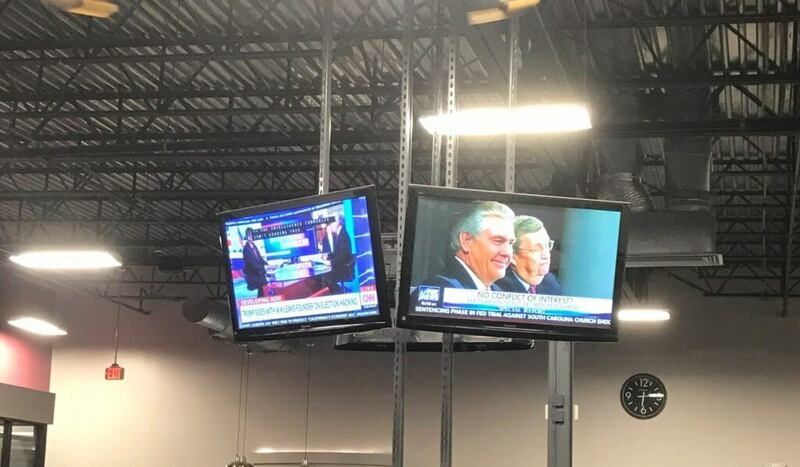 We can build custom jumbotrons for large, flat screen TV’s to be the centerpiece of your retail, restaurant, or health club facilities. Every application is different; we custom build our own mounts from steel, paint them to match the aesthetic of your home or business, and then professionally wall or ceiling mount them. Our technicians will ensure that the mounting bracket is secure and provides optimum viewing standards. We will then attach and set up all of your TV components and make sure all wires and cables are neatly dressed and hidden.